The MESSENGER spacecraft got the gravity assist it needed from its third flyby, but the flyby did not go perfectly. Four minutes before its closest approach to the planet, the spacecraft went into safe mode where only functions essential for the spacecraft's survival are left active. 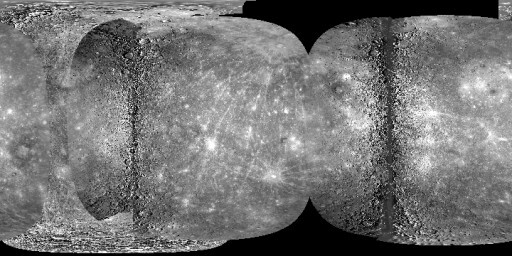 Taking pictures is not one of those functions, which means no images of Mercury were taken when MESSENGER made its closest approach. Continue reading "MESSENGER's imperfect flyby"
The MESSENGER spacecraft has just made its third flyby of Mercury, passing over just 228 kilometers away from the surface. It takes a lot of energy to directly get from Earth orbit to Mercury orbit, so MESSENGER has been making multiple flybys of Mercury. During each flyby, the planet is used as a gravity assist so that the spacecraft can achieve Mercury orbit with much less fuel. This is the final flyby of Mercury, and MESSENGER will start orbiting Mercury and studying the planet in March, 2011. While a direct and close-up observation of water on Mars is exciting, we already knew about the existence of water on Mars for quite awhile. But the solar system can still throw us big surprises. One might think that the planet Mercury would not have any water, being so close to the Sun so that any water would have been blasted away by the solar wind. But when the MESSENGER spacecraft made its initial flyby of Mercury this January, water was exactly what it detected in its atmosphere. MESSENGER is to orbit Mercury starting from 2011, but to save fuel it approaches Mercury numerous times to reduce its speed using Mercury's gravitational pull. During its flyby in January, it flew through Mercury's thin atmosphere and collected particles from the atmosphere. While it found the expected amount of elements such as sodium, potassium, and calcium, it also found significant amounts of water among the particles, which was a complete surprise. 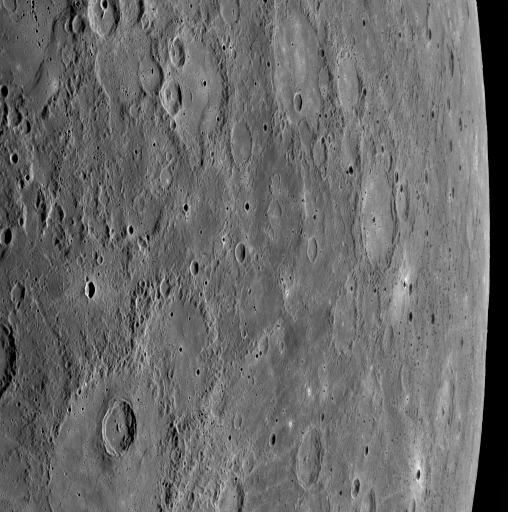 The MESSENGER spacecraft has already made several big discoveries in just a single flyby this January, the others being the fact that volcanism is responsible for the smooth plains of Mercury and that many of the planet's features are due to its shrinking iron core. With just one flyby resulting in significant scientific results, including the unexpected detection of water in Mercury's atmosphere, I think we can look forward to when MESSENGER really starts its mission in 2011 when it goes into orbit around the planet. Even bigger surprises are sure to come. The image of the surface of Mercury as MESSENGER receded from the planet in its January 2008 flyby is courtesy of NASA.